The sanctions against Kim Jong Sik and Ri Pyong Chol block them from any property or interests in property within U.S. jurisdiction, and prohibit them from transactions with American citizens. Treasury said the men are senior officials in North Korea’s Munitions Industry Department. The United Nations Security Council unanimously approved tough new sanctions against North Korea on Friday in response to its latest launch of a ballistic missile, which Pyongyang says is capable of reaching the U.S. mainland. Baik Tae-hyun, spokesman of South Korea’s Unification Ministry, expressed hope Wednesday that the continuing campaign of sanctions and pressure will eventually force North Korea into “making the right decision” and engaging in dialogue over its nuclear program. Baik noted it was the seventh time the U.S. Treasury has imposed unilateral sanctions against the North since the start of President Donald Trump’s administration. Baik also pointed out that the two North Koreans had already been under U.N. Security Council sanctions. 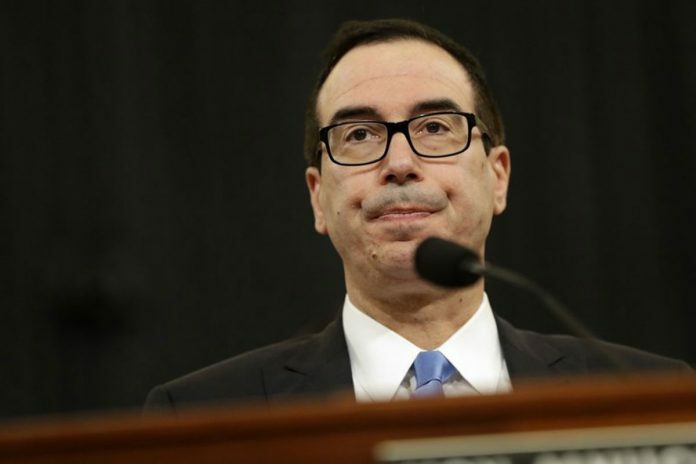 Treasury issues sanctions against 2 North Korean officials. The sanctions against Kim Jong Sik and Ri Pyong Chol block them from any property or interests in property within U.S. jurisdiction, and prohibit them from transactions with American citizens.